Ecuador is known as the outdoor adventure capital of South America. Smoldering volcanoes, raging rivers, massive mountains, beautiful beaches, and rugged jungles- a little slice of Heaven for the adventurous Backpacker. Ecuador is also home to the incomparable Galapagos Islands- a nature lover’s dream come true. Throw in its friendly indigenous population and some of the best craft markets in all of South America, and Ecuador LITERALLY has anything and everything a traveler could possibly hope for. Most international flights arrive into Quito or Guayaquil- Ecuador’s two largest cities. Another popular option is to arrive in Ecuador by bus, traveling from either Colombia or Peru on an overland route. Once in the country, it is easy to get around by bus, as Ecuador is one of the smaller countries in South America. Most flights to the Galapagos depart from Guayaquil- check with local travel agents for discounts on everything from flights to accommodation to last-minute cruises through the islands. Check out Otavalo- Home to one of- if not THE- biggest craft markets in all of South America, Otavalo has MUCH more to offer than the typical scarves, t-shirts, and handicrafts one would expect. 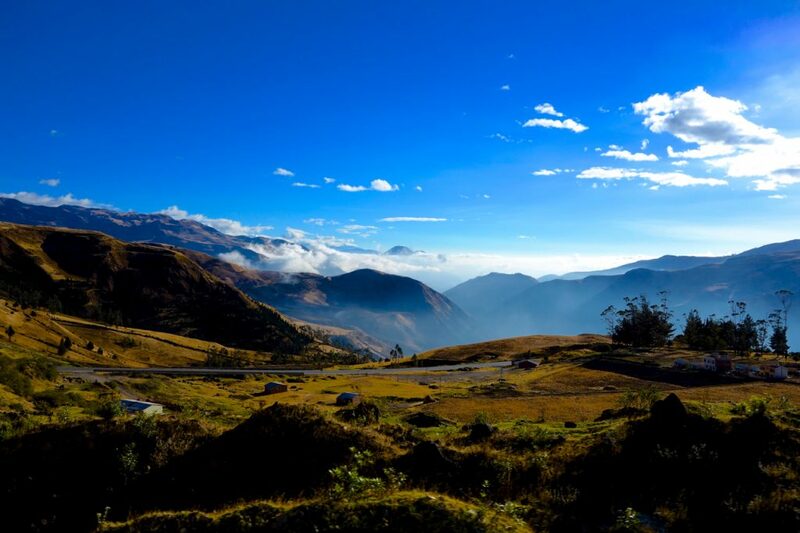 Bring your negotiating skills... Set in a beautiful valley surrounded by majestic mountains, Otavalo has some of the best hiking in all of Ecuador. Check out the Laguna Cuicocha for a great day trip... The Parque Condor is worth a visit as well. Get crazy in Quito- Ecuador’s capital is a city that surprises many travelers. A unique combination of colonial charm and modern metropolis, Quito has enough to keep any backpacker occupied for days on end. The historic ‘Old Town’ is a UNESCO World Heritage site, packed with colonial buildings and sprawling plazas, while the more modern (and aptly named) ‘New Town’ caters to the budget traveler with quality hostels, budget travel agencies, and countless restaurants and bars. Conquer Cotopaxi- Volcán Cotopaxi looms large on the horizon south of Quito. Ecuador’s 2nd highest peak, Cotopaxi offers a variety of hiking, mountain biking, and mountaineering possibilities- operators organize trips out of Quito and Latacunga. Get lost in the jungle- Ecuador is one of the most popular places for travelers to explore the Amazon Basin. El Oriente, as the area is known, offers travelers innumerable opportunities to relax at a remote jungle lodge between canoe trips through some of the most incredible scenery in South America. Bring your sense of adventure... and your bug spray. Swim with the seals- The Galapagos Islands are one of those ‘once-in-a-lifetime’-type destinations. 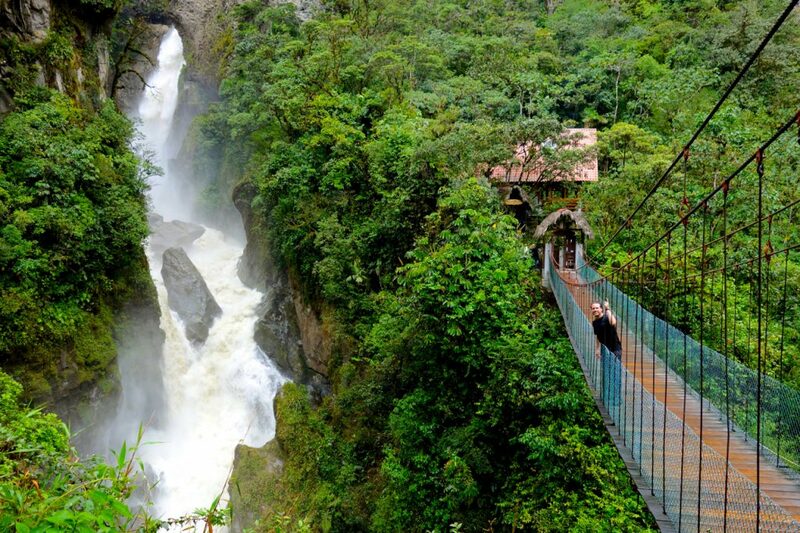 If you think this may be your only trip through Ecuador, you HAVE TO GO. True, it is expensive to get there, and once your there, it is expensive to get out and see the islands, but still- it is worth EVERY.CENT. 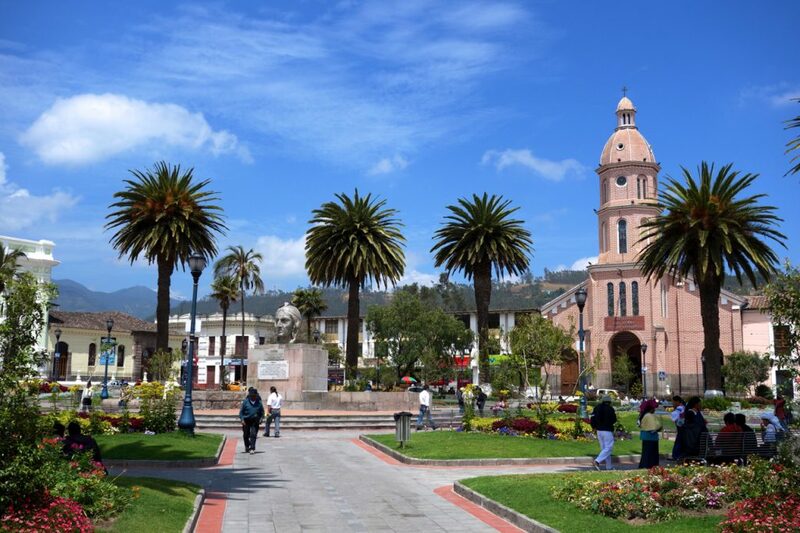 Chill out in Cuenca- Located in the southern part of the country, charming Cuenca has less of an urban edge than Quito. A modern vibe amidst the colonial architecture provides a great spot to spend a few days to explore the city before continuing on your journey. 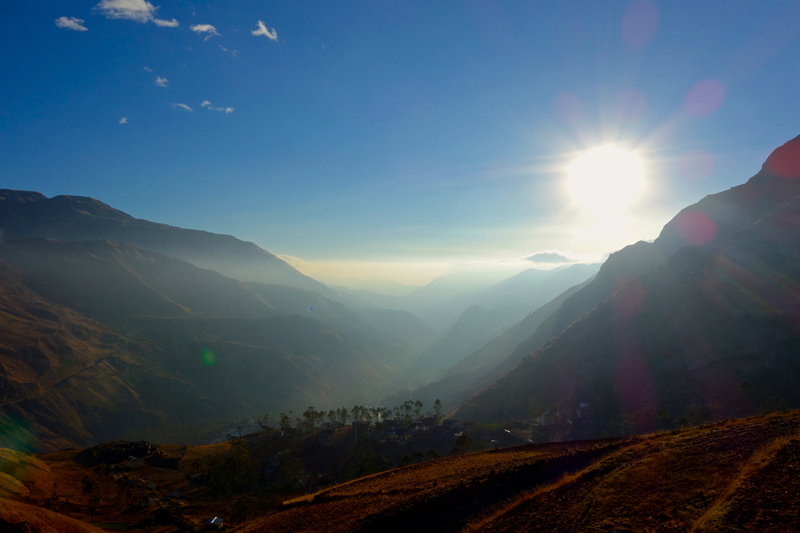 Add years to your life in Vilcabamba- Nicknamed ‘The Valley of Longevity’, the beautiful country surrounding the tiny town of Vilcabamba is renowned for its peace and quiet, and a slower pace of life. It’s a great place to get lost in the hills for a couple of days. Buses are the way to go in Ecuador- every town has a central bus terminal, and no matter where you’re trying to go, it seems that there’s always a bus headed that way in under an hour. The buses are cheap, they run frequently, and they give you the chance to actually see the stunning countryside as you wind your way along the roads of Ecuador. 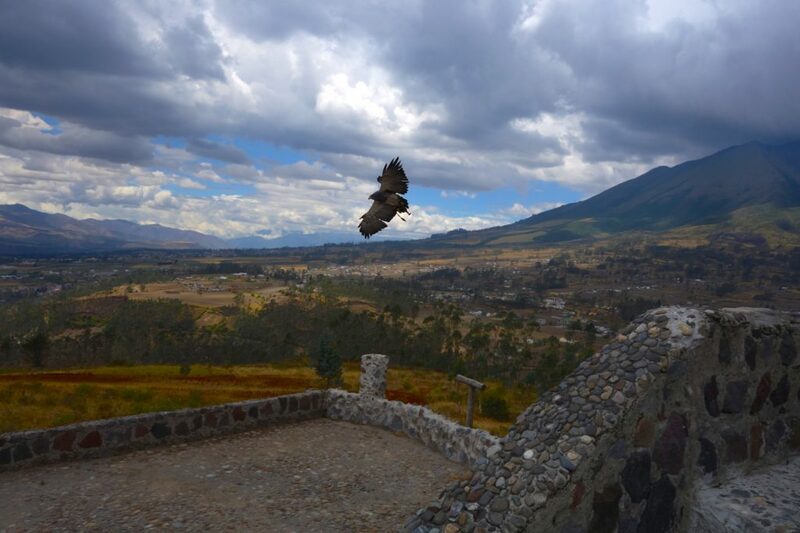 Check out the Parque Condor in Otavalo- it’s set on a hill high above town, and the views alone are spectacular. It is also a great chance to get up close and personal with some of the regions majestic birds of prey, including the MASSIVE Andean Condor. Chinese Food- Ecuadorians love their Chinese Food. Check out a Chiefa for a mountain of food at a very reasonable price. Ecuador’s official currency is the US Dollar- give your brain a break on figuring exchange and conversion rates. Be aware of the bus terminal situation when traveling to/from/through Quito- there is a terminal on the north side of the city that serves all destinations north, while another terminal on the south side of town services all destinations south. There are shuttles that run between the two terminals that takes about an hour. If you hunt around, you can find good deals on cruises through the Galapagos once you’ve arrived in Puerto Ayora and/or Puerto Baquerizo Moreno. True, it is a little risky to fly all that way without anything booked, but chances are you’ll find an operator trying to fill the last few spots on their ship, and you might be able to haggle a discount and some some $$$.